I was very fortunate to have the opportunity to hear Leartice Eiseman speak last weekend at The Canadian Home Furnishings Market in Toronto. 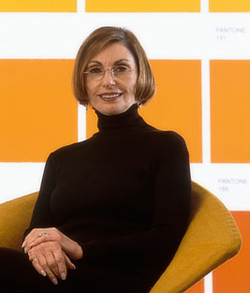 She is a colour expert and is known around the world for her work with the Pantone Colour Institute as its Executive Director. She and her team were the ones who decided that Emerald Green is the colour for 2013. Her talk was inspiring and very interesting. Here are a few things to watch for in 2013. 1. Sense of Humour - people are lightening up and not taking themselves so seriously. 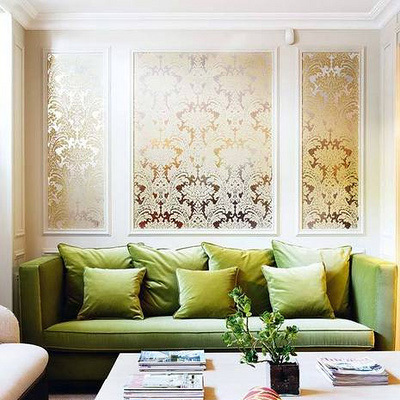 In interiors, whimsical elements abound and allow for a sense of humour and individuality. 2. NEW Old School - Based on heritage and historical references, this preppy look has a modern twist. With a nod to The Brits and the popular Union Jack flag, the pallete is red, white and blue. Tommy Hilfiger is the perfect example of this look. And plaid is hot! The influence of Britan ( with the Olympics, the Queen's Diamond Jubilee and a Royal wedding and now a royal baby on the way) is huge in home decor. 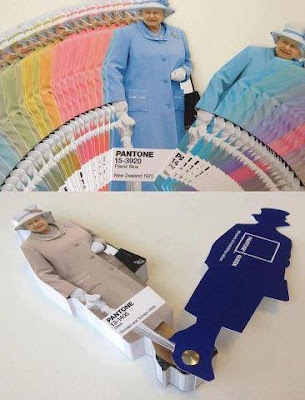 The Queen even has her own Pantone Fan Deck! 3. 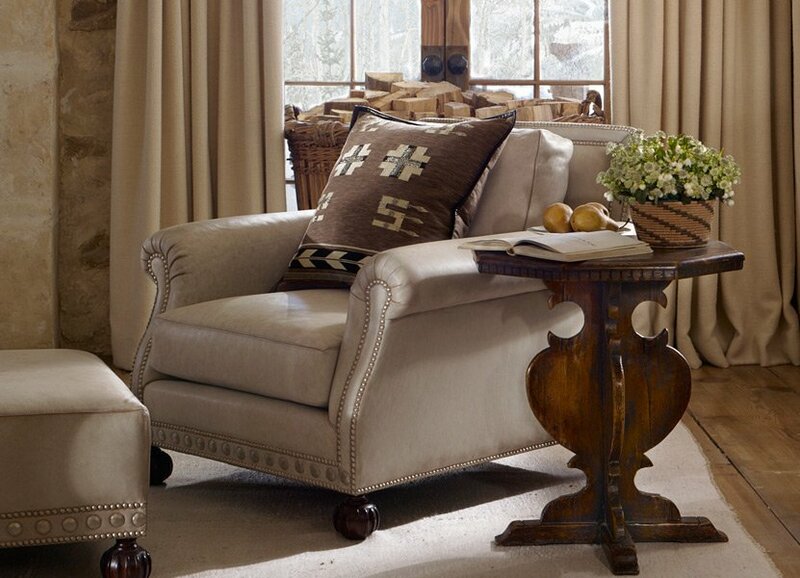 Wild West - There is a strong western influence especially in fabrics. Watch for lots more denim ( due to its sustainability factor) and leather and suede - also long lasting. Nobody does this look better than Ralph Lauren. Now its a little lighter and more natural in colour. Leatrice also told us that the owl has had its day and we will see wolves and horses as stylized themes. 4. Connoisseur - A trend direction and colour palette called Connoisseur celebrates the finer things in life according to Leatrice. A sense of history and elegance is key and is influenced by the hugely popular show " Downton Abbey". Colours here are 'sophisitcated and refined'. Watch for violet and orchid to be strong. 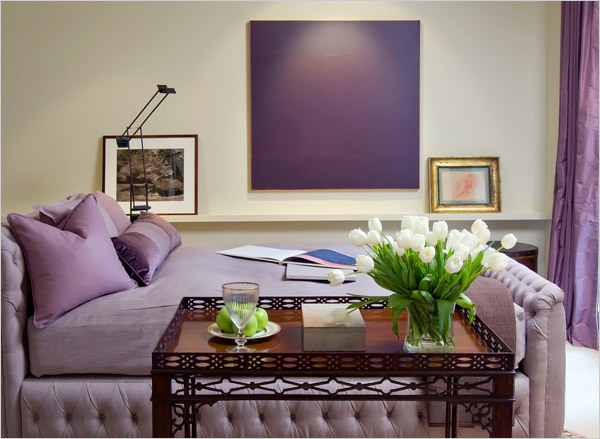 This is a beautiful colour for a master suite - rich but with a feminine touch. 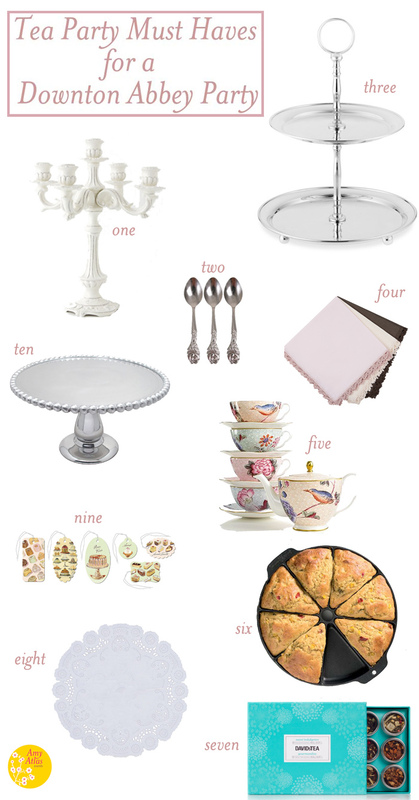 Watch for the use of antique silver, gold, high tea parties and all things royal. 5. The Influence of the Movies on Colour and Trend - Leatrice closely watches the movie industry and its latest releases as an indicator of what's to come. Shrek made yellow green a mainstay colour. 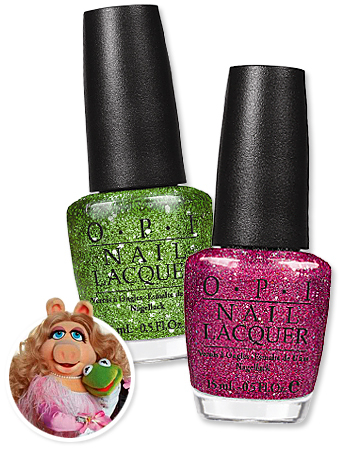 The latest Muppet movie inspired green sparkle nail polish from OPI. 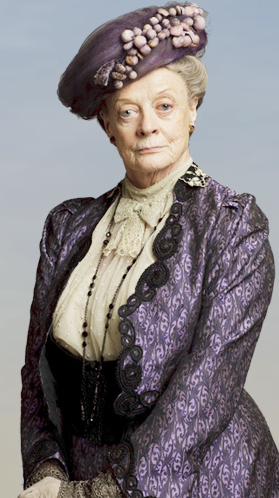 Costumes and sets have a huge influence on our decor world. 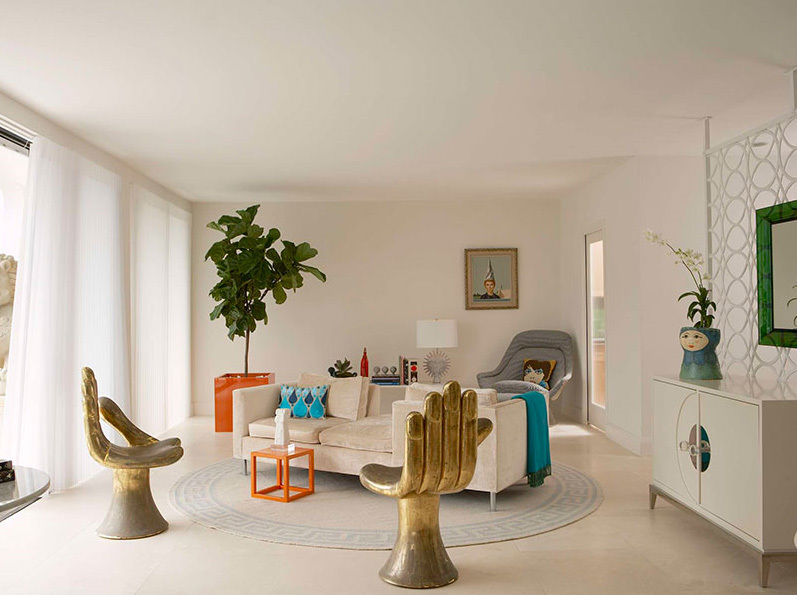 The Academy Award winning movie " The Artist" started the current Art Deco trend which will be further enhanced with the release of 'The Great Gatsby" this spring. And as the movies are released on DVD or as sequels are made, the trend continues and has a much longer life rather than being just a fad. If you are interested in more info from Leatrice you can follow her colour blog here.